I just got given a nice recording of my recent live show in New York. I've put it up on Soundcloud so you can check it out. Thanks to everyone who came out to shows on the US tour and helped to make them great fun. Roska has just been added as support for my show at the Village Underground in London on May 30th. Roska did a great remix of Love Cry for me and has a new album about to come out on Rinse that is going to be well worth checking out. Photos from my show in London the other night by Jason Evans. Lighting by Ed (Next Level Lights). Thanks to everyone that came to the show and who helped to make it happen! The date for my show at the Village Underground in London has been moved from April to May 30th which is on a bank holiday weekend. Tickets for the original date will still be valid. I have also had to cancel shows I had planned in Copenhagen and Malmo in April due to some scheduling problems but am hoping to reschedule these dates soon. There have also been some delays on vinyl in the UK too due to manufacturing problems but it should be back in stock very soon. Here's a great article from a Japanese website about the making of the artwork for the new album. It's all in Japanese which I can't read, so I've only been able to get a rough idea of what they are saying using the google translator, but the pictures give you a good idea of the detailed work that went into the making of the cover image. There Is Love In You Released Today! 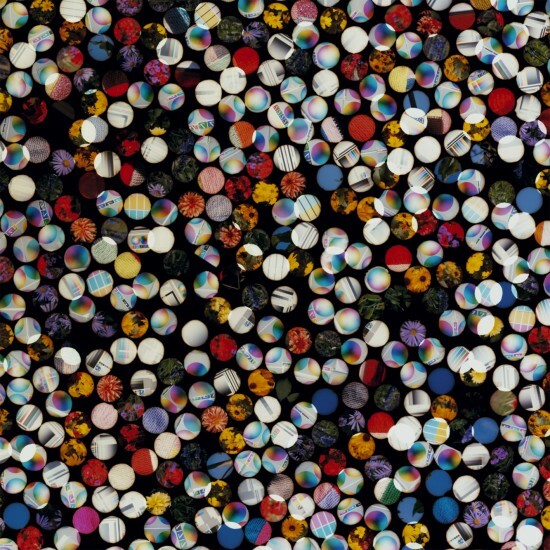 The new Four Tet album "There Is Love In You" is now in the shops on vinyl, CD and digital download. The vinyl comes in very nice sleeve with a free download of the album. Get yourself a copy from your local independent record shop. Thanks for all the great comments from the stream I put on Soundcloud last week. Glad people seem to be getting into the new music. I have seen sites selling the vinyl of my new album claiming that the release is limited to 500 copies. This is not true and it is my understanding that enough vinyl will be pressed as there is demand for. Sorry if this false information has got anybody worried about getting hold of a copy. We have had a few manufacturing problems with the release though so their might be some delay on stock getting to shops.